(CAT2018) on 25'" November, 2018 in two sessions. Detailed information on CAT 2018 may be obtained from the CAT website. 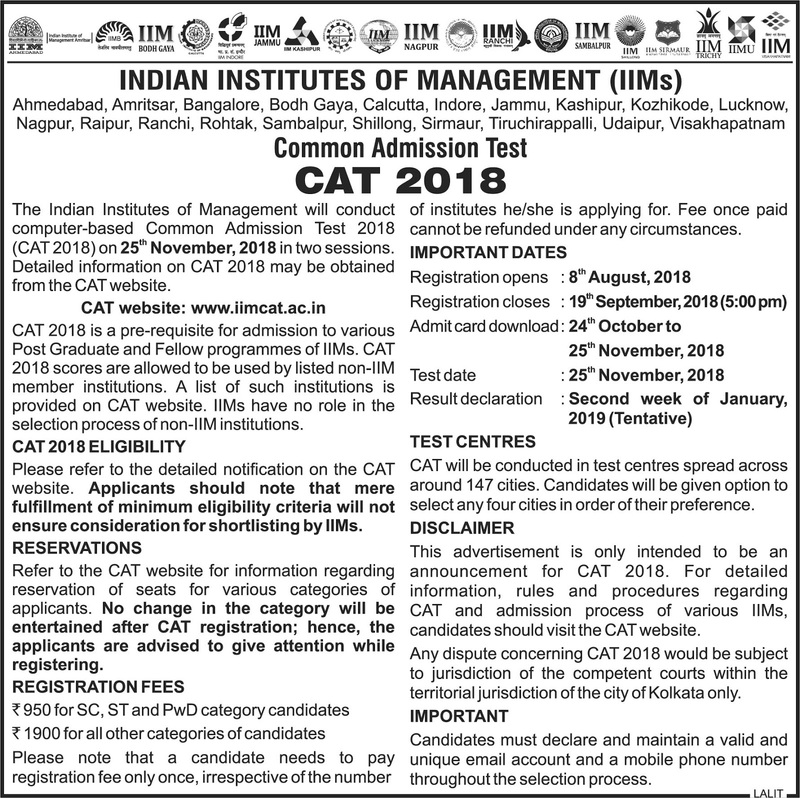 CAT 2018 is a pre-requisite for admission to various Post Graduate and Fellow programmes of IIMs. 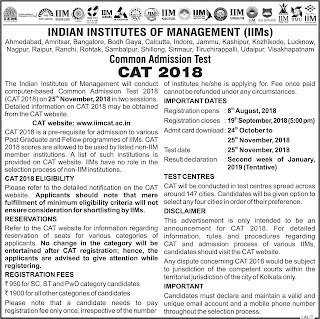 CAT 2018 scores are allowed to be used by listed non-IIM member institutions. A list of such institutions is provided on CAT website. IIMs have no role in the selection process of non-IIM institutions.